Auburn and Opelika city schools are consistently ranked some of the best in the state. Our schools have some of the highest graduation and proficiency ratings in the state. 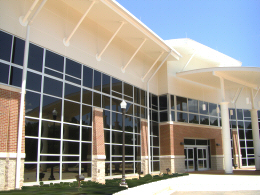 Our schools benefit from the close proximity to Auburn University's education and outreach programs and Southern Union's career and technical services, which allows for fresh methods and curriculum to be implemented in the classroom quickly and which works closely with the schools and school boards to provide top-tier education. We also have several private schools in the area. These schools offer the same quality education with a smaller class size and a different style of leadership. If you want a wholesome place to raise a family, look no further! 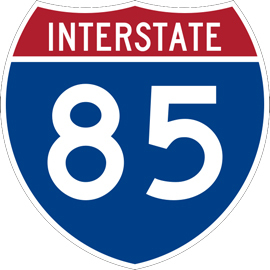 Interstate 85 runs right through Auburn and Opelika. Along with that comes the I-85 corridor, which is bringing tons of new growth and industry to our community through the automotive and technical sector. We also have a huge retail expansion into the Ogletree and TigerTown areas. We are constantly growing and adding new businesses and industries. Auburn University is a huge employer in the area, with jobs ranging from teaching to maintenance and everything in between. 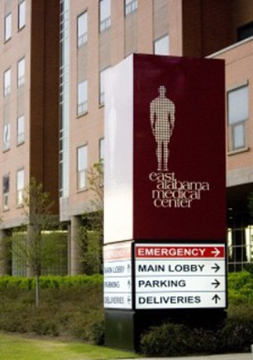 East Alabama Medical Center boasts a world-renowned staff of heart care specialists. EAMC was also recently recognized as one of the best places to work in Alabama by Business Alabama magazine. With a vision to be a national leader in quality, cost, and service, EAMC strives to provide high quality, compassionate health care. Auburn and Opelika have many clinics, dental offices, oral surgeons, and specialists as well. We also have one of the U.S.'s only open-bore MRI scanners designated for resarch use. There are plenty of options for continuing education or for that teen who is about to graduate high school or the person changing careers and looking for a different field. Auburn supports around 25,000 undergraduate students with countless majors to choose from, and Auburn University's MBA program is ranked one of the top in the country. Find out more about Alabama's Land-Grant University. 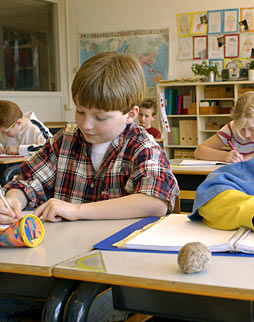 Southern Union provides a quick way to get ahead with smaller classes and hands-on curriculum. With two campuses very near to serve the area, Southern Union is both an asset to students as well as the community as a whole. We've got football in the fall, basketball and golf in the spring. What more do you need? Auburn and Opelika have several city and state parks that are well cared for and provide you with plenty of open air and freedom to walk your pets and get exercise. Hunting and fishing camps and lodges are just down the road. Our neighbor Tuskeegee offers skydiving opportunities for the thrill seeker, and 6-Flags Atlanta is less than 2 hours away. We have a two movie theaters, malls, outdoor shopping, shopping centers, and city sponsored concerts and festivals. For the night-owls, we have coffee-shops and diners open late as well as bars and clubs that stay up with you as well. 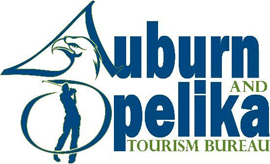 Auburn and Opelika are in the perfect place if you like to travel. We have a quickly growing airport and facility right here. We're about an hour and a half drive away from the Atlanta airport. I-85 and I-65 can get you pretty much anywhere you need to go, and Birmingham is just a few minutes up U.S. Highway 280. Deep in the heart of the SEC arena, we have also been ranked one of the best places to live if you enjoy college sports! Relocating is one of the hardest decisions to make. Living and working opportunities are huge factors in this decision. Why face the decision alone when you don't have to? Berkshire Hathaway HomeServices Preferred Real Estate (formerly Prudential Preferred Real Estate) has its own Relocation Specialist who can help you with all of the details of moving to the area and can give you lots of tips and information that you might not normally have. Our Agents are experts on Auburn, Opelika, and the surrounding Lee County. They know this area and would love to show you around and help you choose your next home. They can even recommend some great resturants and shops for you to check out. When you get ready to relocate, don't make it a tough decision, choose us and let us do the hard work for you. Choose a professional Berkshire Hathaway HomeServices Preferred Real Estate agent who will stand by your side during the home buying and selling process. If you know someone who is relocating to Auburn and Opelika or is looking to sell their home, don't be a stranger... Tell them about Berkshire Hathaway HomeServices Preferred Real Estate (formerly Prudential Preferred Real Estate) and let them know we'd be happy to help! List of Needs and Wants: Make 2 lists. The first should include items you must have (i.e., the number of bedrooms you need for the size of your family, a one-story house if accessibility is a factor, etc.). The second list is your wishes, things you would like to have (pool, den, etc.) but that are not absolutely necessary. Realistically for first-time buyers, you probably will not get everything on your wish list, but it will keep you on track for what you are looking for. Visualize the house empty and with your decor: Are the rooms laid out to fit your needs? Is there enough light? Be Thorough: A few extra dollars well spent now may save you big expenses in the long run. Don't forget such essentials as home inspections, mortgage contingencies, multiple walkthroughs. Don't let this be overwhelming! Let a professional represent you! Contact a Berkshire Hathaway HomeServices Preferred Real Estate Agent today.